A computer system can not do anything its own, it must be instructed to do a desired job. Hence, it is necessary to specify a sequence of instructions that a computer must perform to solve a problem. Such a sequence of instructions written in a language that can be understood by a computer is called a computer program. It is the program that controls the activity of processing by the computer; and the computer performs precisely what the program wants it to do. 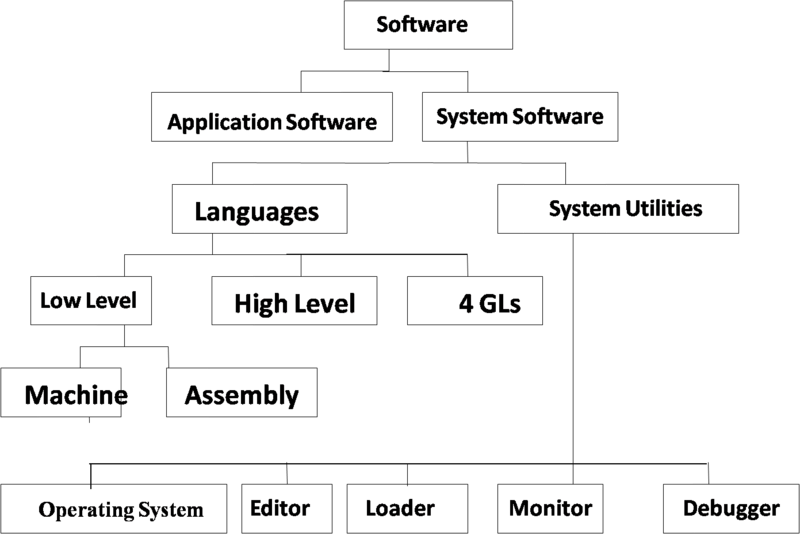 The term software refers to the set of computer programs, procedures and associated documents. 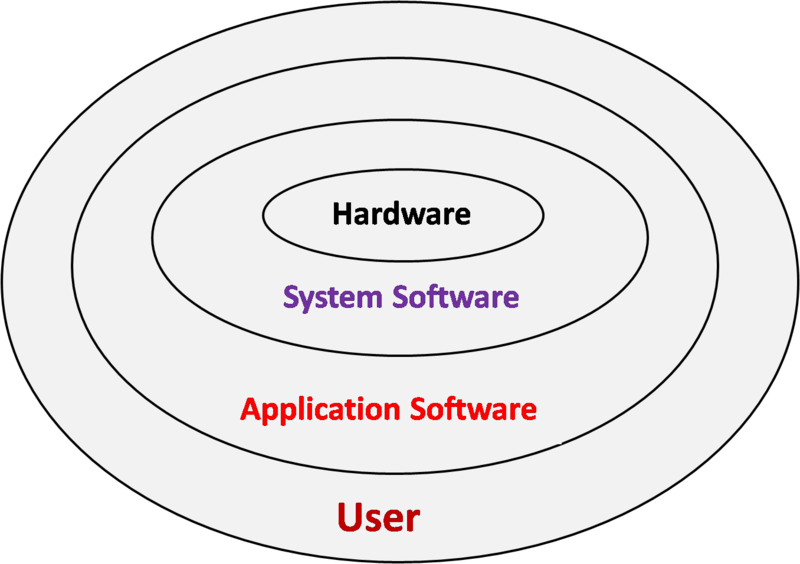 Precisely, software means a collection of programs whose objective is to enhance the capabilities of the hardware machine. Types of Computer SoftwareApplication Software : It is also known as application programs or packages. Application Software is set of one or more programs designed to carry out operations for a specific problem or we can say the application software consists of packages that serve as ready made solutions to given problems. e.g. a inventory package manages the inventory of the firm and control its stock. It produces the reports like Current Stock Report, Reorder List etc.. Similarly a program for scientific calculation is also known as application software. The programs that constitute an application packages are known as application programs and the person responsible for writing programs is called application programmer. Application softwares, normally used for general purpose functions, such as payroll system, production scheduling system, inventory control and general accounting system. There is such a great demand for these functions, nowadays software packages supporting them is available on almost every kind of computer hardware. However, the software industry has expanded to serve many specific markets. Specific purpose application packages have also been developed for specialized areas, such as banking, hospital administration, insurance, publishing, manufacturing, science and engineering, etc. In fact, many software companies have started to offer computer system to go along with their software as turnkey systems for specific industry needs. Development of specific purpose application packages has expanded along with the increases use of computers in non-financial operations. monitor the use of various hardware resources (memory, peripheral, CPU etc.). Thus, systems software makes the operation of the computer system more effective and efficient. The programs included in system software are called systems programs and the person who prepares systems software is referred to as a systems programmer. manufacturers. The customer who buys or leases a computer system would usually receive some system software in addition to the hardware. A computer without some kind of systems software would be very ineffective and most likely impossible to operate.